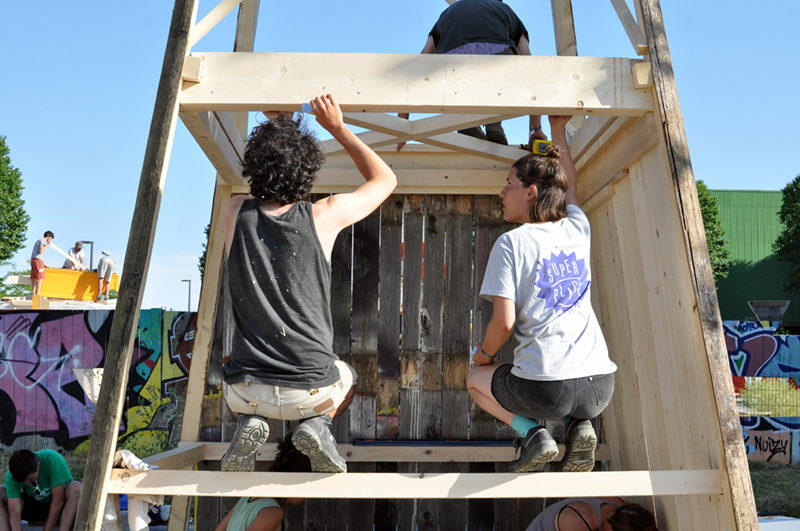 This summer we were invited, amongst other collectives, by the Bellastock team to participate in the 10th edition of their experimental construction festival. 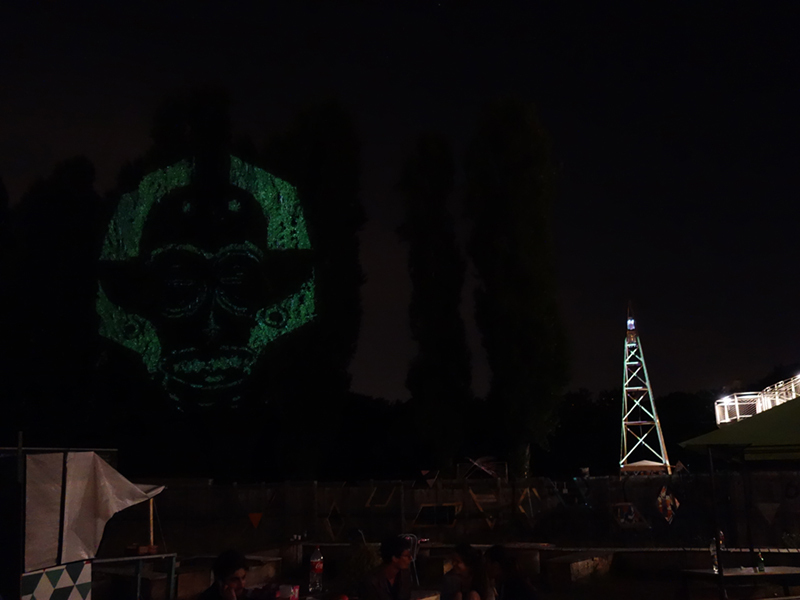 For the occasion, they decided to change the festival’s usual formula and set themselves a concrete objective: to channel an immense collective energy in order to contribute to the sustainable transformation of a territory. 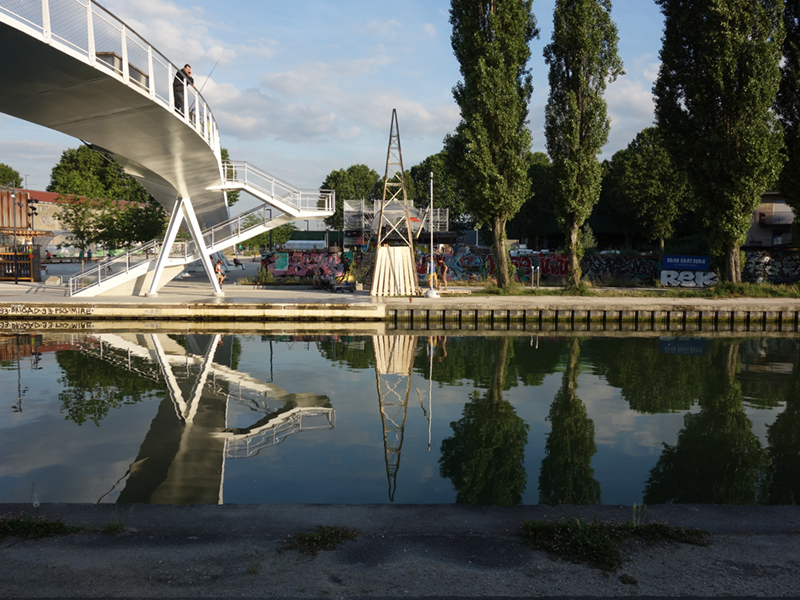 The festival, under the name of Superstock, took place in the ‘’Plaine de l’Ourcq’’, a wide open space situated along the Ourcq canal in the parisian suburb of Bobigny. Presently a predominantly industrial area, the neighbourhood will undergo large transformations in the years to come. 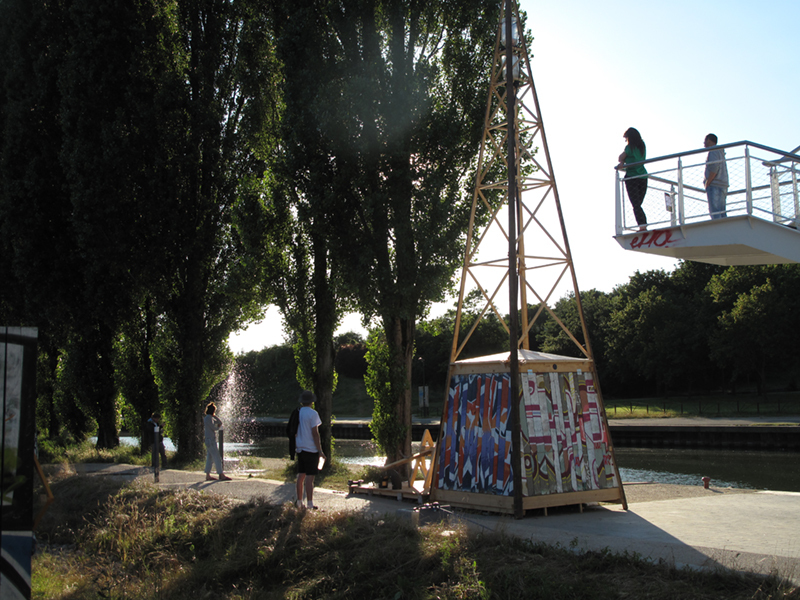 In this context, all participating collectives were asked to create temporary installations along the canal in anticipation of future developments. 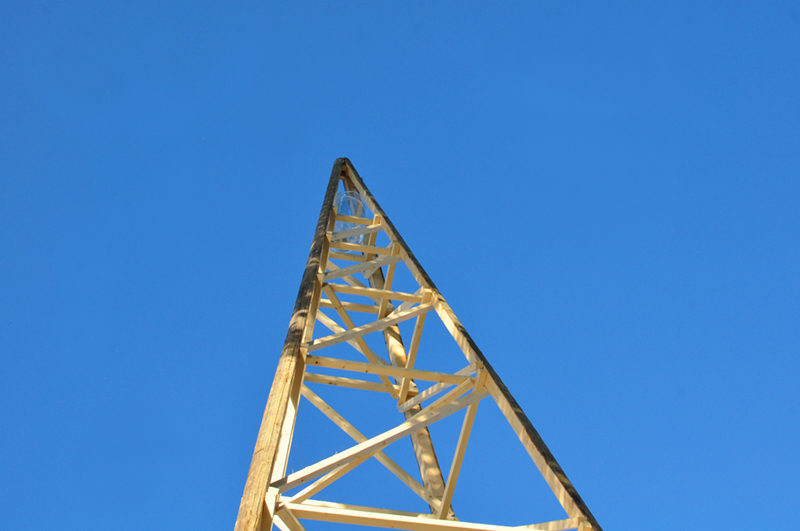 A general brief for these structures was developed by the Bellastock team in collaboration with local associations. 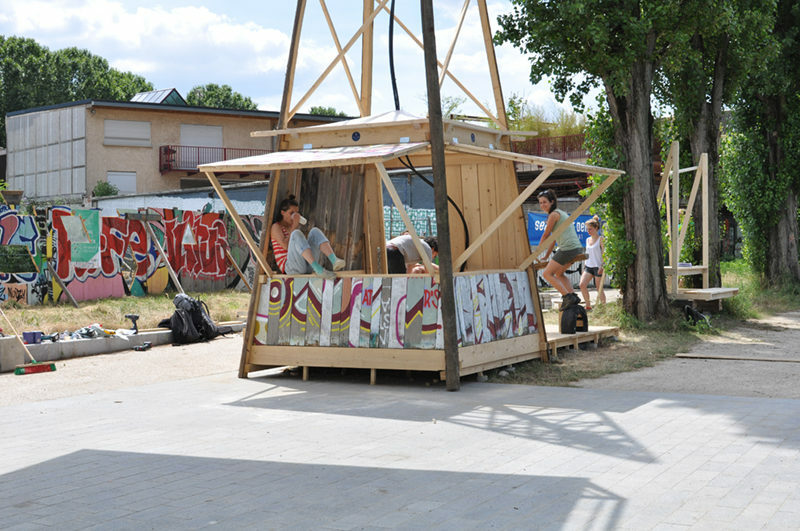 During the first week of the festival, ConstructLab was asked to build a kiosk for the shuttle service connecting Bobigny to Paris. 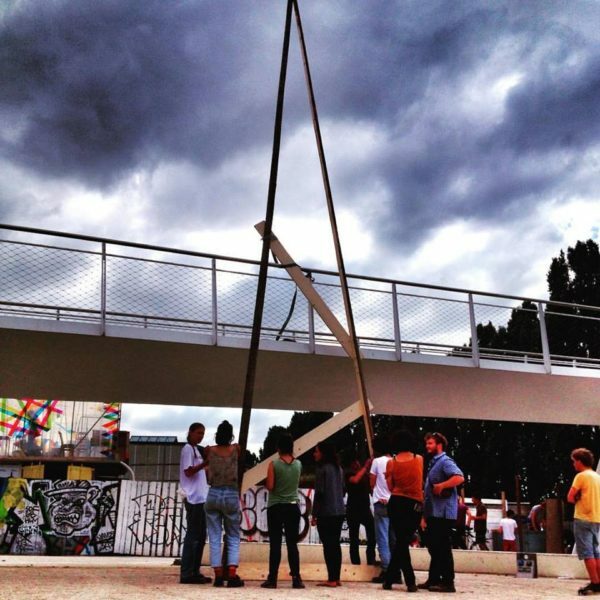 The structure would host two people in charge of selling the shuttle tickets and their equipment. 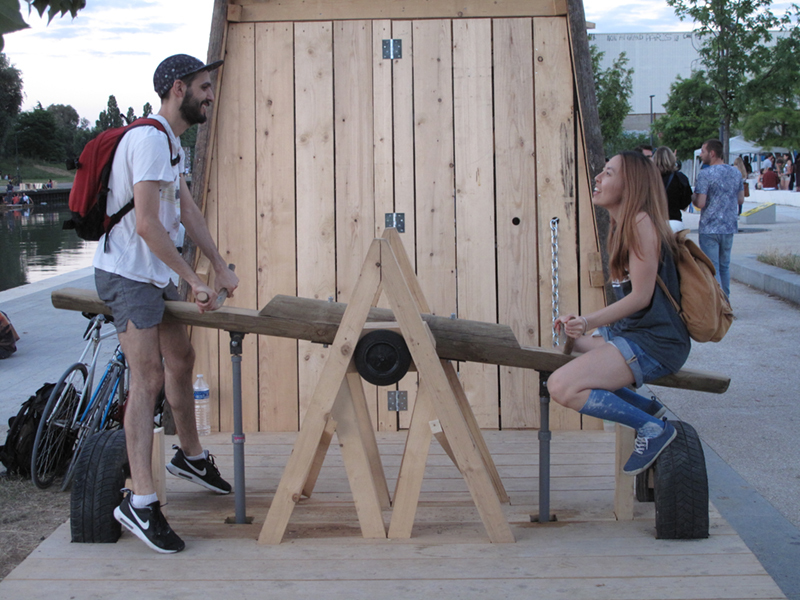 Besides answering these basic requirements, the project proposed by the team aimed to create a strong connection to the water, to be a point of interest, a moment of play for passersby and neighbours, and to be itself a visible sign from afar. 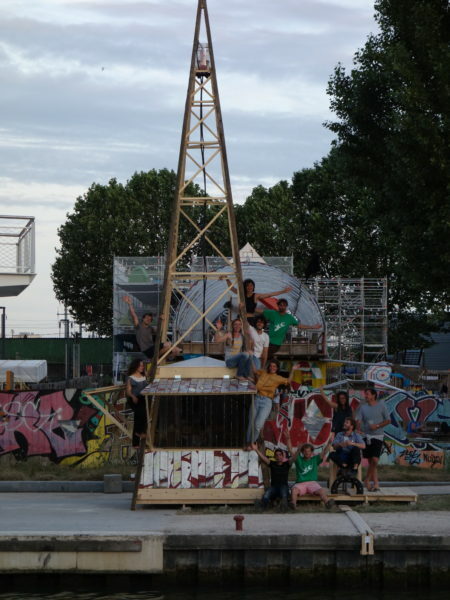 And what better way to do this than to create a giant geyser? 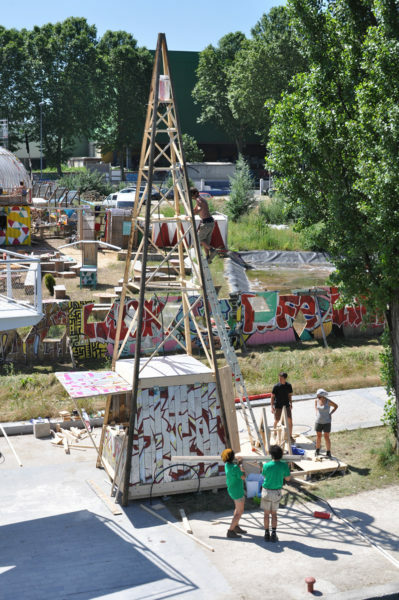 A built structure pumps water from the canal through a playground balance-based system, then pushes it to the top of a tower where it is collected in a container. There, once a certain level of water is reached, an overflow system releases the water through a small tube which runs down the tower. The water, obliged to follow the laws of gravity, splashes out of a fountain-like concrete block towards the sky with the same amount of force that previously pulled it down the tower. This system, disguised as ticket kiosk, makes it unpredictable to know when the fountain will spray water. 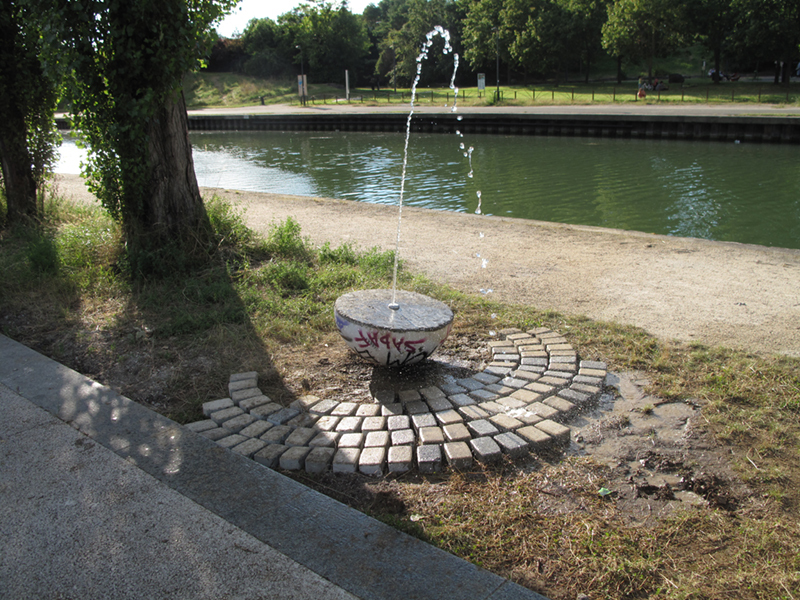 Thus creating a geyser effect that surprises and intrigues passerby. 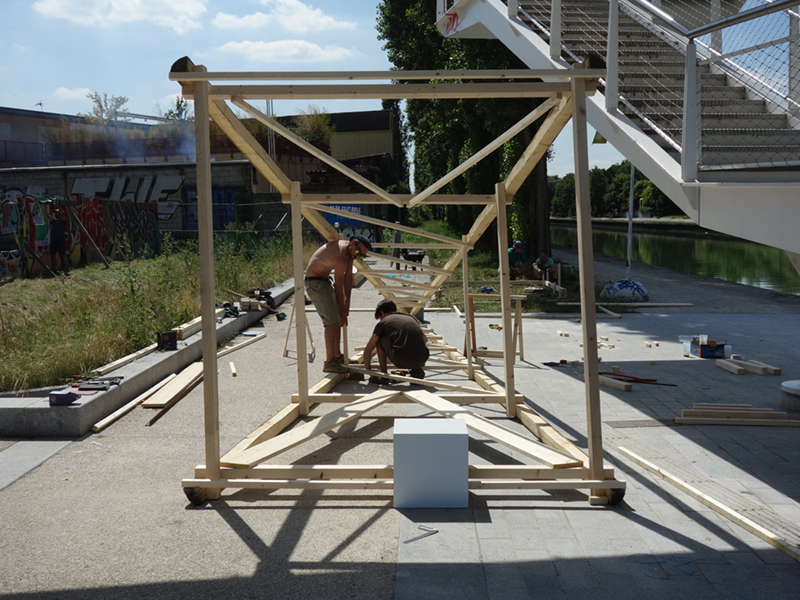 The second week of the festival was dedicated to finish and extend the facilities built on the first week together with architecture students; the team who chose to work on the ticket kiosk created a structure dedicated to passengers waiting for the river shuttle. 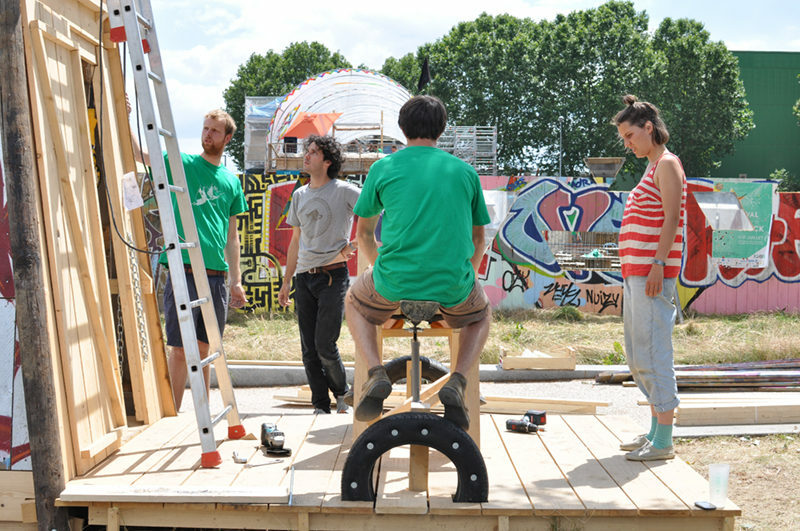 By rotating , the structure could be both a deckchair and a double bench with table. The building was supervised and assisted by the ConstructLab team, turning out to be an interesting open table of discussion and sharing.